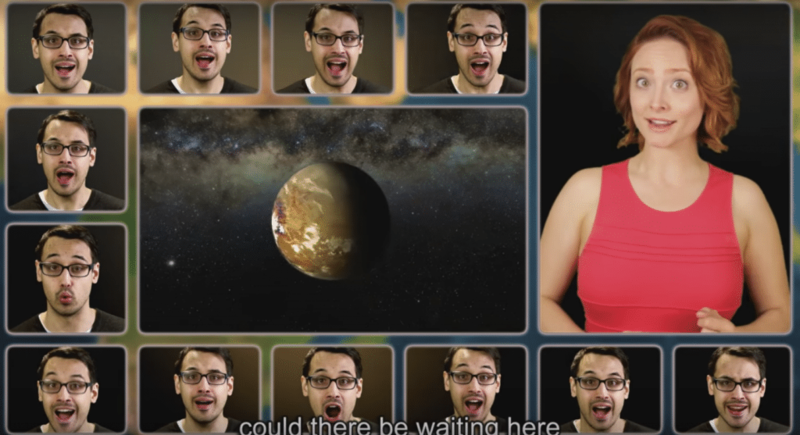 Einstein's Girl was so honored to be a part of A Capella Science's new video on exoplanets (and not just because I'm in it). Tim Blais's dedication to art and science make him a big inspiration to people all over the world, and this song couldn't come at a more celebratory time--TRAPPIST-1 made headlines late last month for the remarkable feat of having the most Earth-sized planets found in the habitable zone of a single star. Whole New Worlds indeed! !